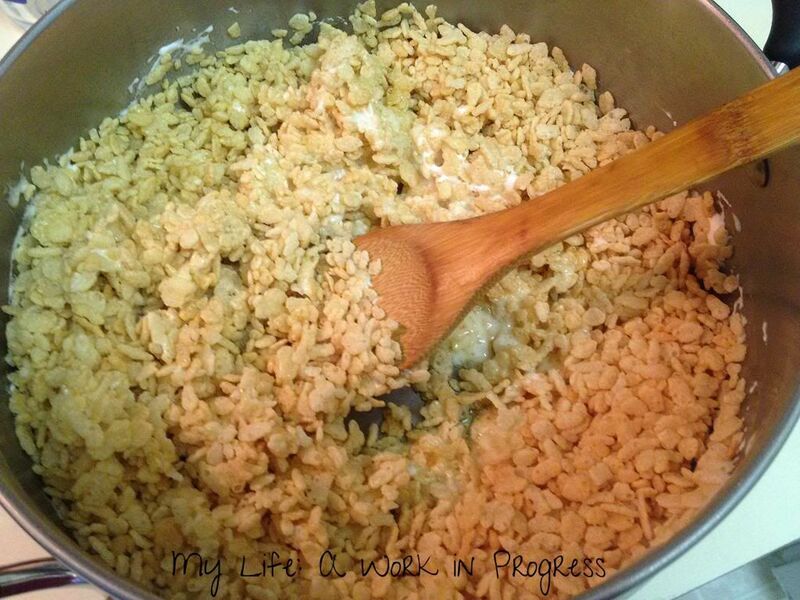 This may sound crazy to you, but I have never made Rice Krispies treats until now! 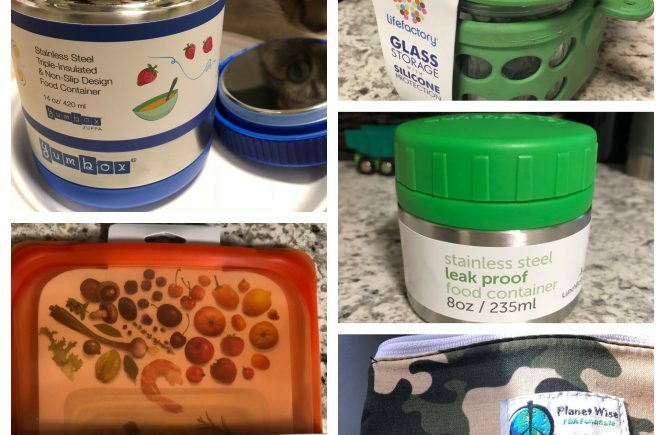 My parents were health nuts long before it was popular. To give you an idea, I had my first chocolate bar when I was nine; it was so rich, I almost threw up afterwards. We rarely had salt or sugar in the house. I think the only times we did were when Mom was making something special for guests or a church potluck. We definitely never made Rice Krispies. I wanted to make a special Easter-themed treat for Baby J, but baking with my oven is hit or miss. 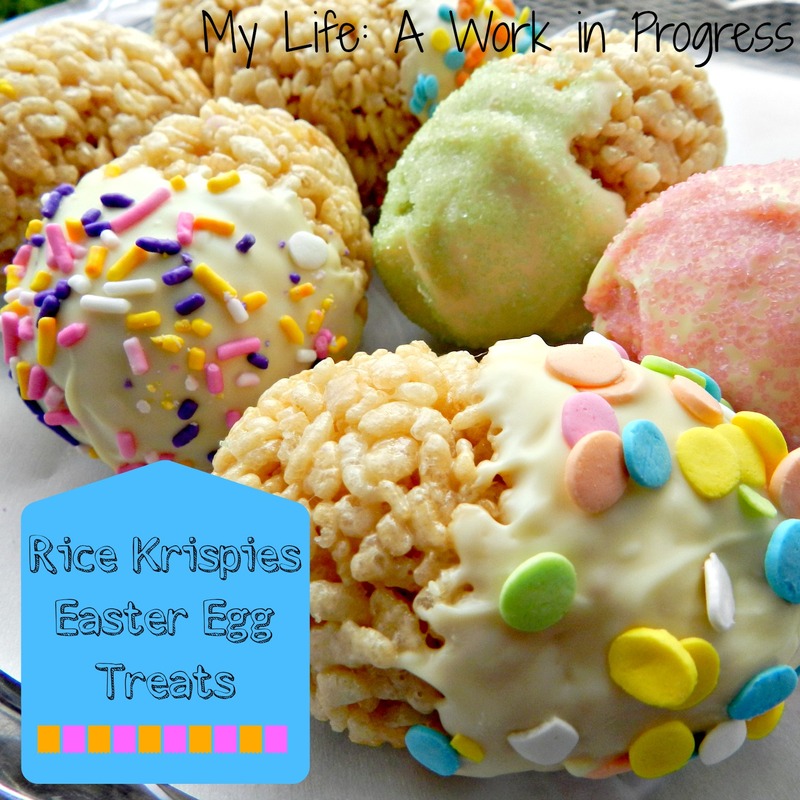 It had to be something no-bake, and eventually these Rice Krispies Easter Egg Treats crossed my mind. 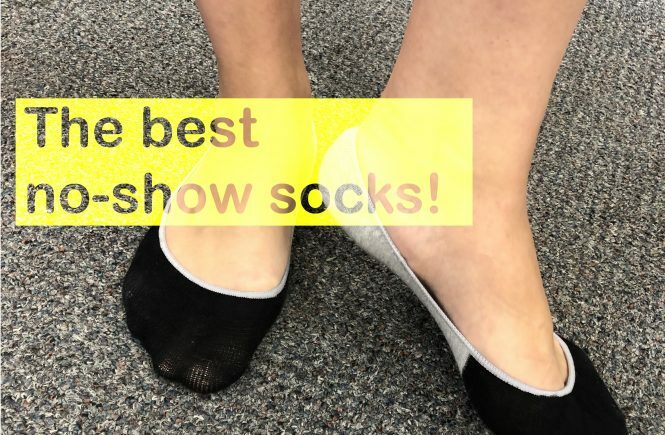 They are very easy and quick to make. *I used large plastic eggs (I don’t have exact measurements, sorry), and the mixture filled up 10 of them. Place a large pot on the stove, with the burner at low heat. 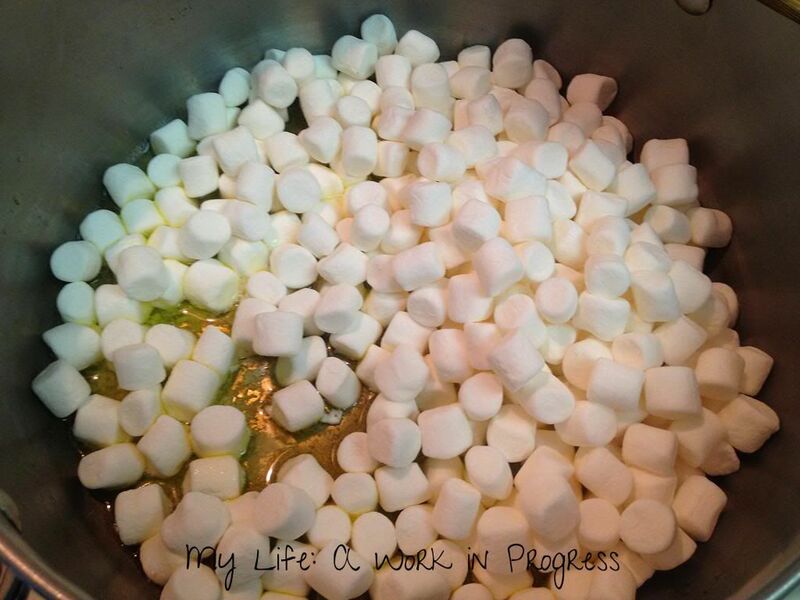 Melt the butter, then add the marshmallows in, stirring occasionally. 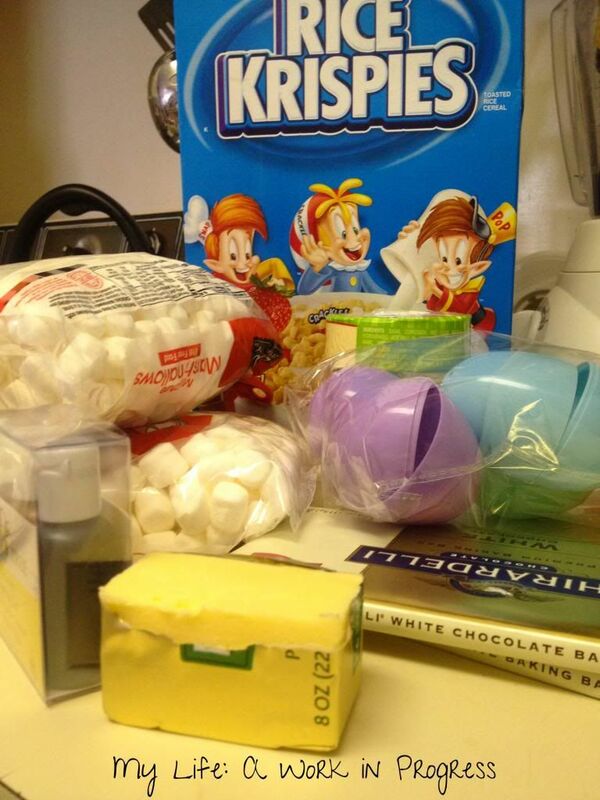 Once the mixture is thoroughly melted and blended, turn off the burner and add the cereal. Stir. When the mixture has cooled enough for you to touch, grease the inside of a plastic egg with butter or oil. 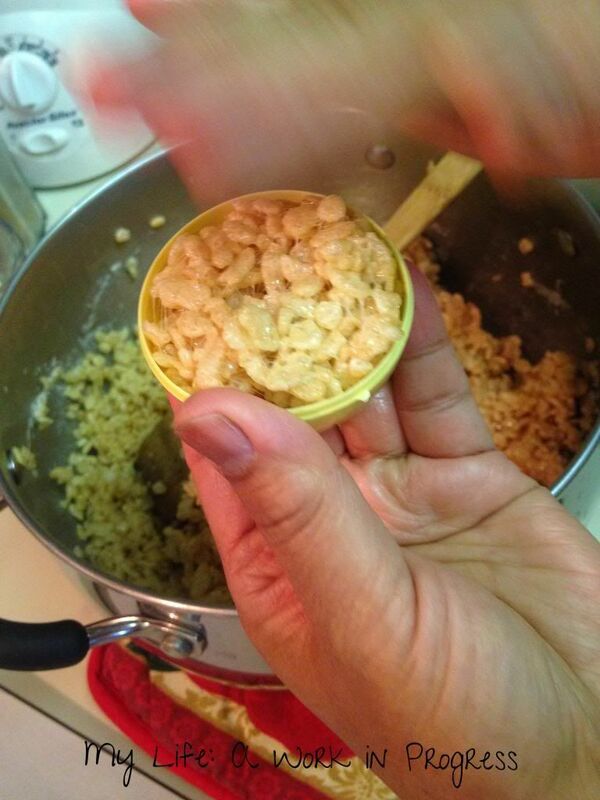 Stuff each side of the plastic egg with the Rice Krispies mixture; let the mixture overflow slightly. Then press the sides of the plastic egg firmly together, until it’s sealed. Let the plastic egg sit on a cookie sheet or the counter for about 30 seconds. To remove the treat from the plastic egg, press your thumbs at the center of the egg, one on each side of the seam, and press gently until the egg pops open slightly. 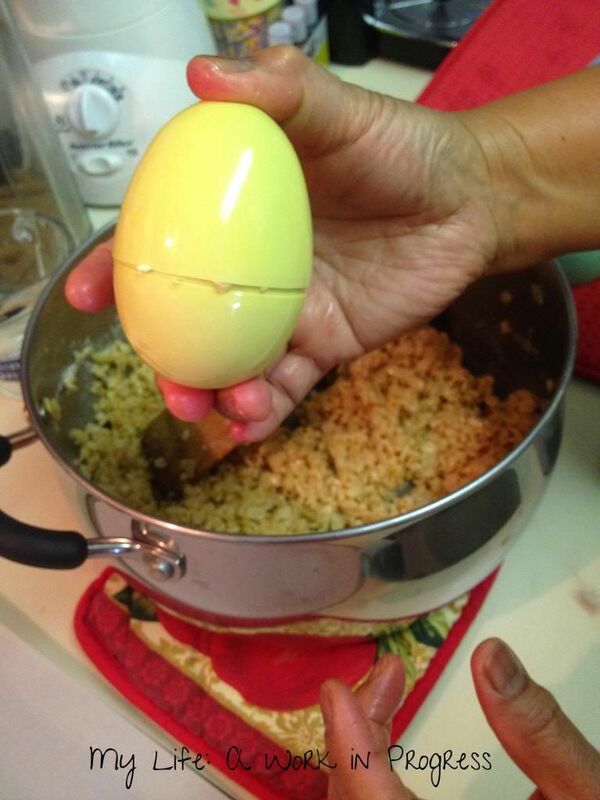 Then you can carefully pry the egg open all the way with your thumbnail or a fork prong. 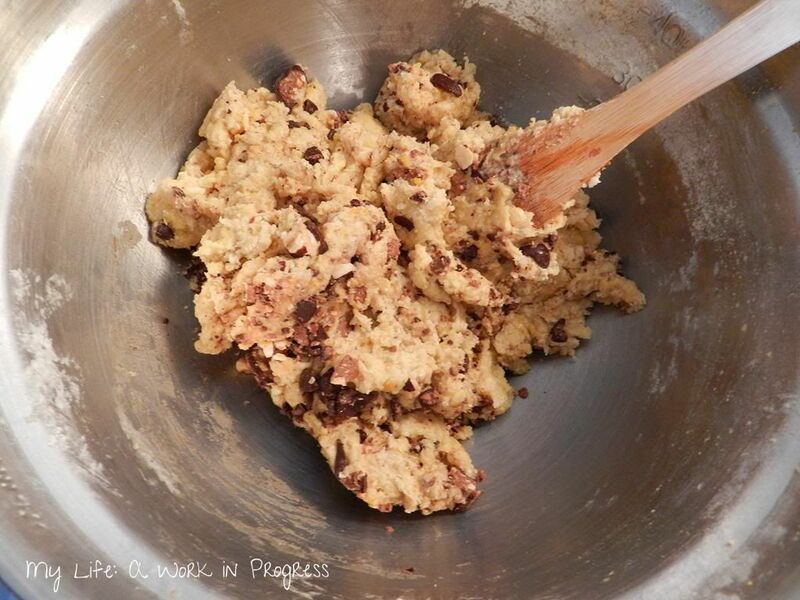 If at any point your mixture starts becoming too hard for the egg-shape to form, you’ll need to melt your mixture slightly on the stove top again. So work quickly! My mother in law and I were forming these as quickly as possible; many hands and small batches are best for this treat. I melted a block of white chocolate in the microwave at 50 percent power (30 seconds at a time). After dipping an egg in the melted white chocolate, I sprinkled Spring-themed cupcake sprinkles over top. 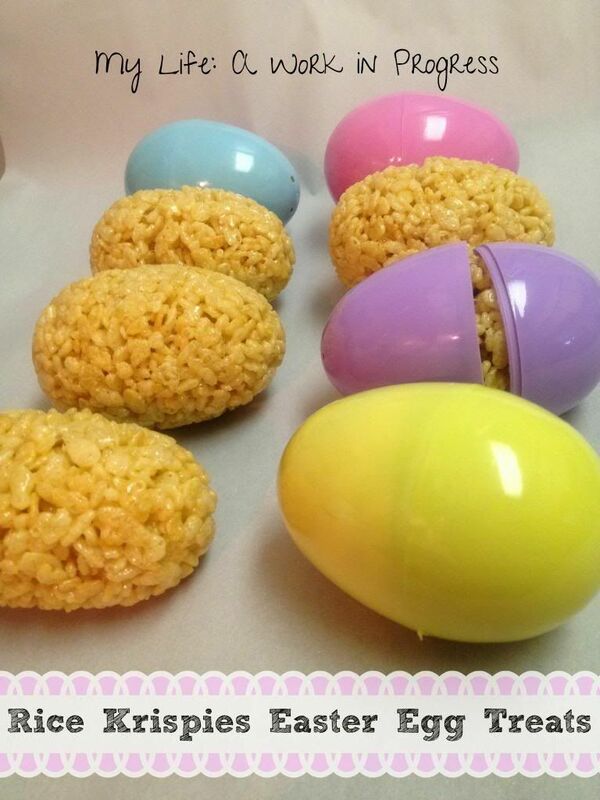 Then I placed the finished and decorated Rice Krispies Easter Egg Treats, one by one, into an empty egg carton with the decorated side up. The carton then went in the fridge. After the chocolate was firm, the treats were ready to eat! 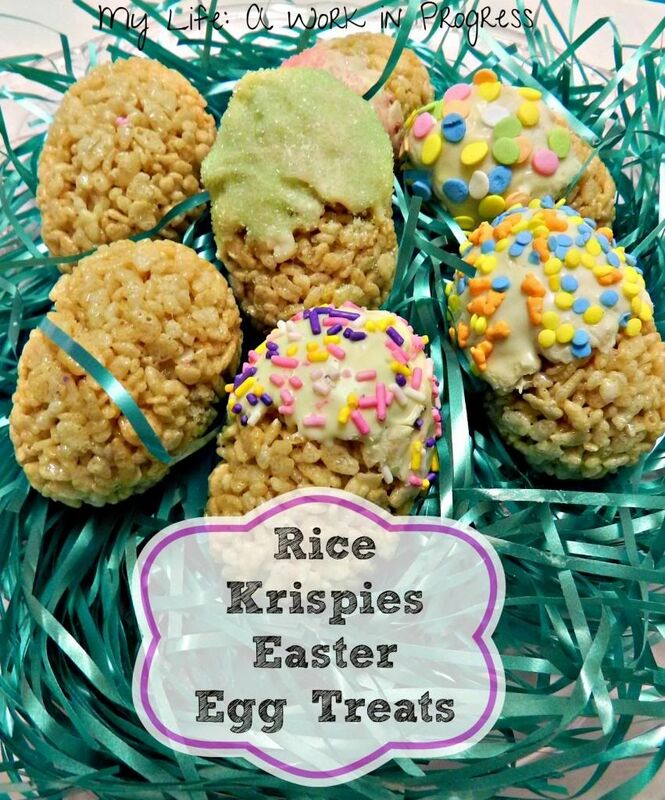 Mix crushed, small Easter-themed candies in with your Rice Krispies mixture, before you form the eggs. Use cookie icing to draw fun designs on your eggs. 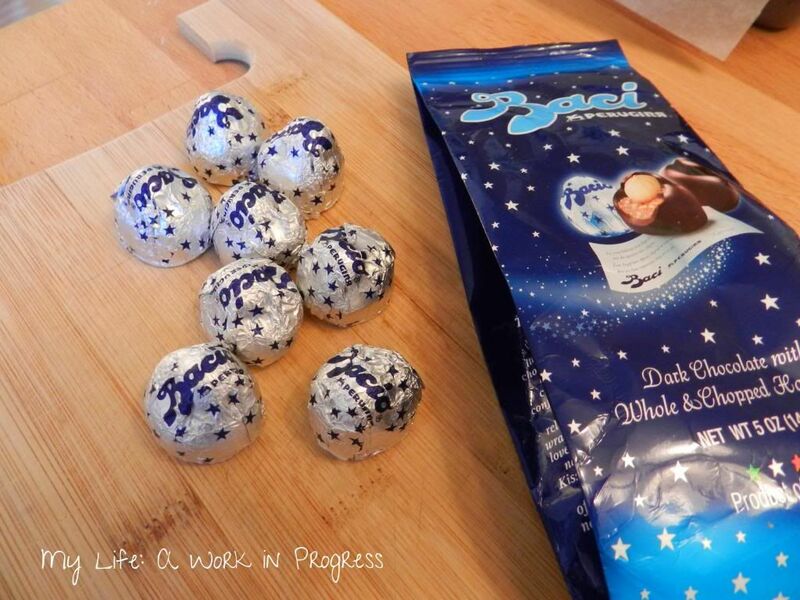 These eggs would also taste delicious dipped in melted milk chocolate. Or, dip the eggs in white chocolate that has been dyed with food coloring into pastel colors. What yummy treats have you had lately? 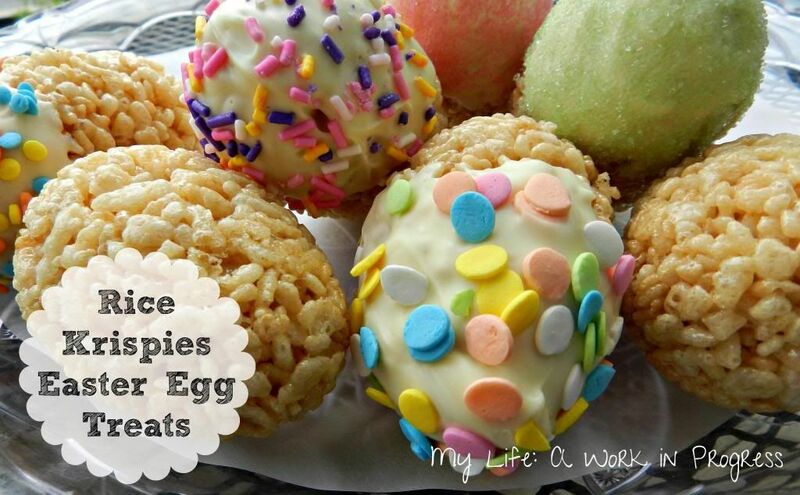 Do you have a favorite way to “dress-up” Rice Krispies treats and make them extra special? It’s an Easter hop! 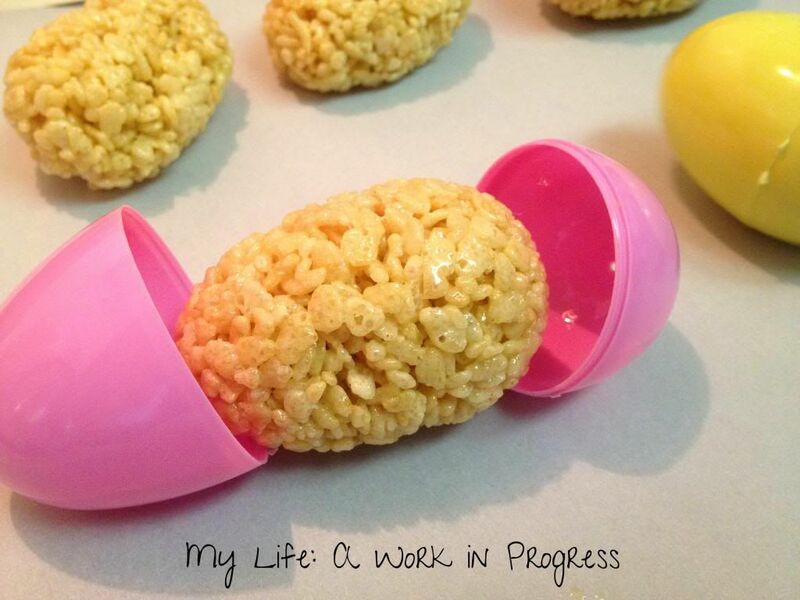 Have an Easter-themed craft, recipe, or other post you’d like to share? 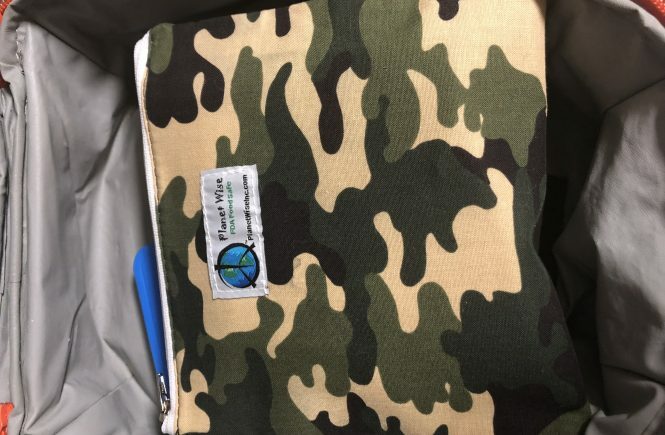 Link up below! Family-friendly only, please. My favorite dessert is the English trifle. Although there are many variations, the trifle essentially is a layered cake and custard dessert. I’ll share with you the way I learned to make it as a child. A trifle is usually made in a glass bowl to showcase the dessert’s layers. 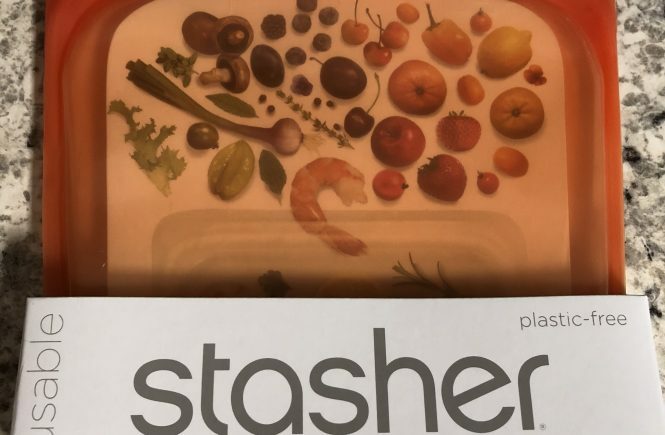 As usual, I don’t have the right tools (er, bowl) for the job, so I’m using a stainless steel measuring bowl that is neither see-through, glass, nor attractive. 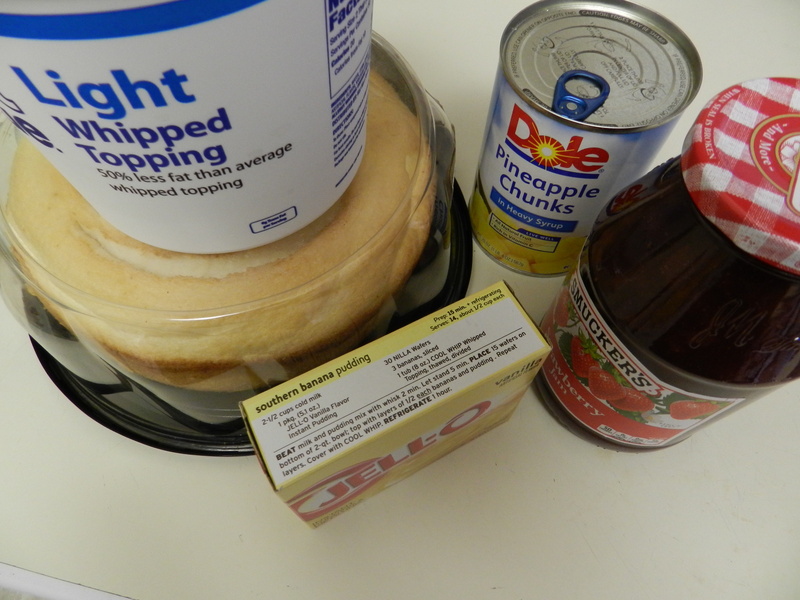 The ingredients for my trifle are whipped cream, strawberry jam, vanilla pudding, angel food cake, and crushed pineapple in juice. Note: As you can see in the photo, I’m using pineapple chunks in heavy syrup. This does not work as well as the crushed pineapple, since you can’t really spread it; but Hubby grabbed the wrong can. It’s easy to make this dessert lower in fat, by purchasing low-fat, fat-free, or sugar-free ingredients. 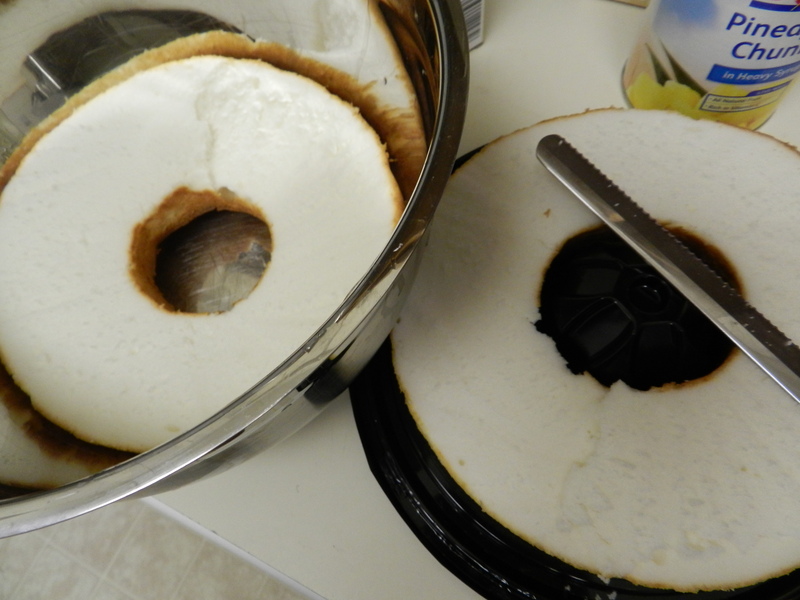 Slice the angel food cake into three same-size pieces. Place one piece in the bottom of your bowl. Drain your crushed pineapple and save the juice. 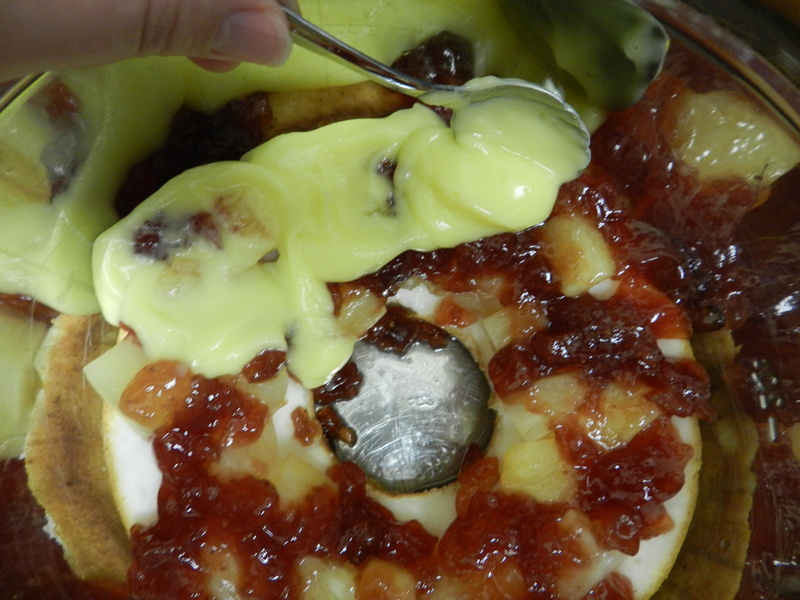 Spoon the pineapple juice onto your bottom cake layer, pressing down with the spoon to help the cake absorb the juice. Evenly spread a third of the crushed pineapple over the cake. 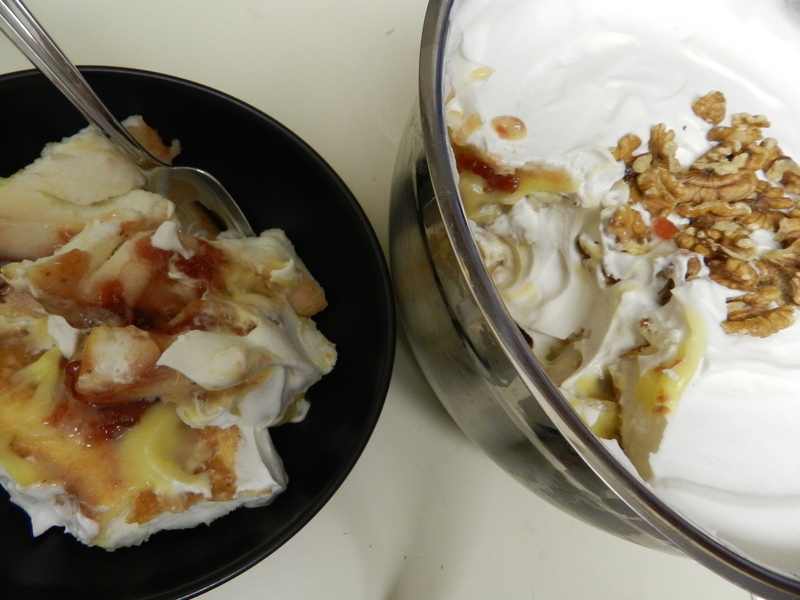 Then follow with the strawberry jam, and finally the vanilla pudding. Place the second cake layer on top. Then start with your pineapple juice, and repeat the previous steps. Then place the third and last piece of cake on top. Cover the entire thing with whipped cream. You’ll probably have stuff falling down into the center at this point, and that’s fine. I just cover the hole with whipped cream. You don’t have to put a topping on it, but if you do, fresh fruit is great. 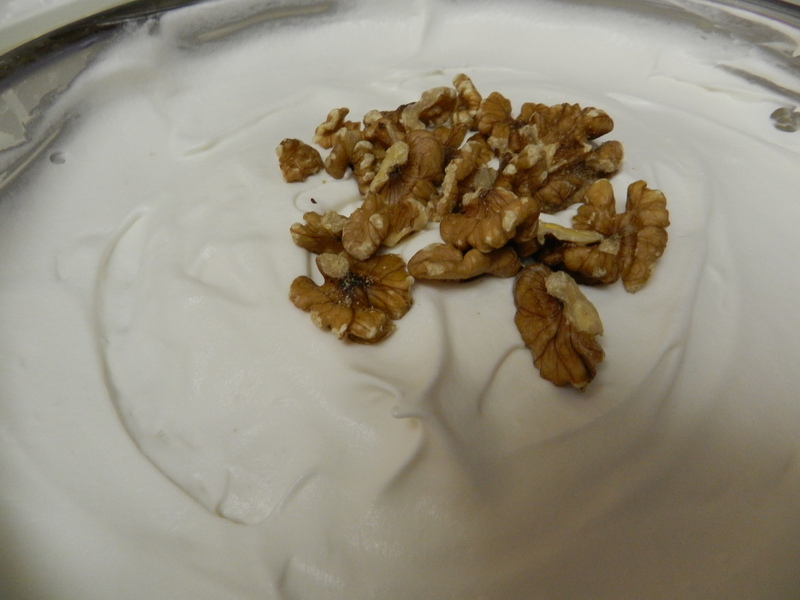 I had some walnuts I wanted to use up, so I sprinkled those on top. Then, place in your fridge to get nice and chilled until you’re ready to serve it. I think it tastes even better when left in the fridge overnight. Everything really has a chance to mix together then. You can skip the jam or preserves and make the trifle with all fresh fruit. Blueberries and banana slices would be yummy too. I’ve heard of trifles being made with chocolate ingredients. Around Thanksgiving, a pumpkin trifle would be great to try too! The traditional trifle recipes actually call for sponge cake sliced in large chunks, and that’s an easy step to add, if you’d like. The result would be the same. They also call for sherry, but fruit juice is a very tasty non-alcoholic substitute. 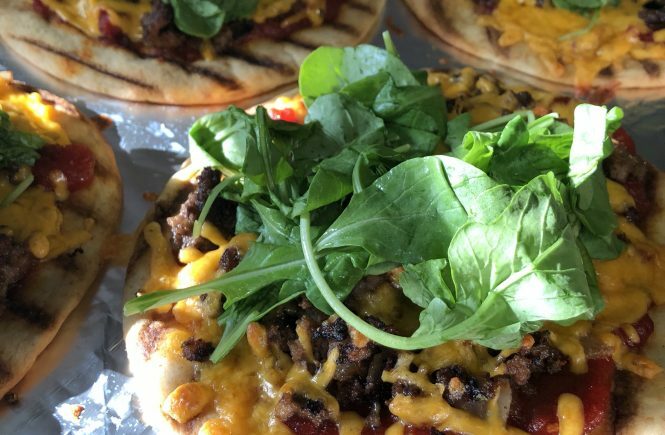 If you’re ambitious, here’s a recipe for a more traditional version. 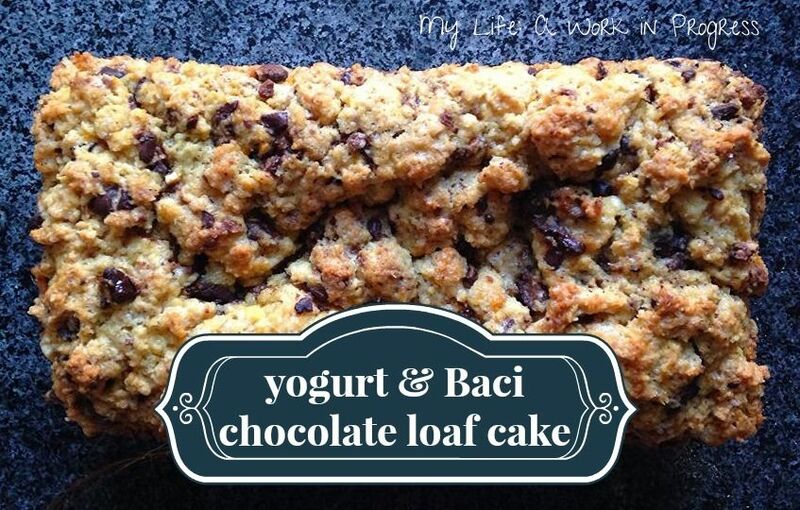 As you can see, this dessert is very easy to make and has endless possibilities! 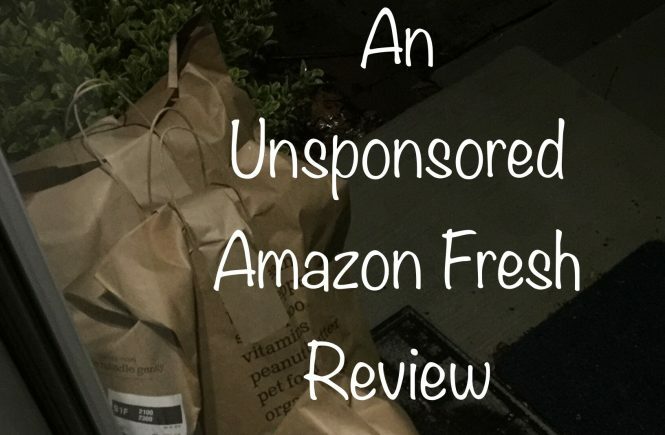 Give it a try, and let me know how you like it!